CBD Oil, also known as Cannabidiol, is federally legal and does not produce the “high” associated with smoking Marijuana. Vaping CBD Oil has become a fast-acting solution for relaxation and pain management. Pure CBD products do not contain THC and will not result in a failed drug test. CBD is a natural compound present in Hemp and Marijuana plants. While both plants are members of the Cannabis family and are similar in appearance, they contain different concentrations of Tetrahydrocannabinol (THC). THC is the compound in Marijuana that causes a “high.” Hemp Bombs CBD is extracted from Hemp plants because of the plant’s naturally low levels of THC. Marijuana plants can contain up to 35 percent THC, while Hemp plants contain less than 0.3 percent of the compound. As more research is conducted, the list of potential benefits associated with CBD continues to grow, leading to its growing popularity as a natural solution for various levels of discomfort. CBD has been found to aid in mood enhancement, sleep regulation, pain management, and much more. CBD and THC are two individual compounds with different effects. THC is a compound that can cause psychoactive effects while CBD can offer healing properties to the body without intoxicating effects. As mentioned earlier, the presence of THC in Hemp and Marijuana differs greatly. Hemp Bombs only extracts CBD from superior-grade Industrial Hemp plants. Our Hemp is domestically sourced and grown free of any harmful pesticides and toxins. This allows us to isolate 99% pure CBD, free of THC and other cannabinoids. For quality assurance, all our CBD is tested by a third-party laboratory to ensure that we are providing the purest CBD possible for our customers. When vaping CBD Oil, our customers can relax easily knowing that they are taking the most potent and pure CBD. CBD is so effective because of the Endocannabinoid System (ECS), which is a network of receptors and molecules present in all mammals. The receptors are present in the brain, spinal cord, peripheral nervous system, central nervous system, and GI tract, allowing you to feel the effects of vaping CBD Oil throughout your body. The ECS plays an important role in maintaining homeostasis, mood regulation, and immune system function. While your body creates its own endocannabinoids, its function is enhanced when introduced to CBD. CBD does not bind directly with ECS receptors; instead, it inhibits the actions of fatty acid amide hydrolase (FAAH). FAAH molecules break down anandamide, a “bliss” molecule, once the body has used it. By stopping FAAH from breaking down these molecules, CBD can create an accumulation of anandamide, leading to an enhanced mood. The increase in naturally occurring cannabinoids leads to the feelings of relief that often accompany vaping CBD Oil. 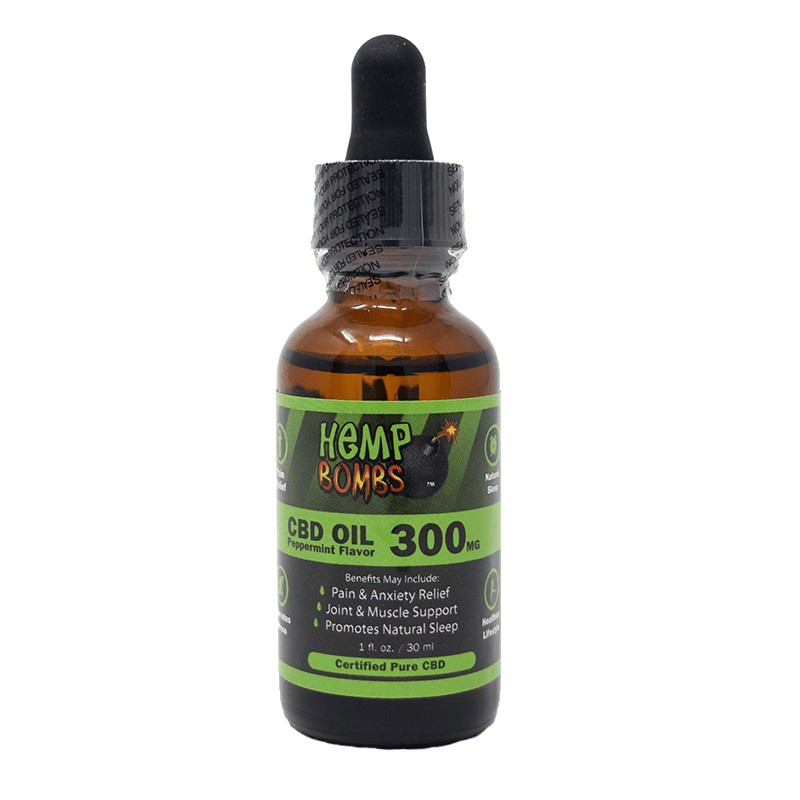 Hemp Bombs offers CBD Oil, also known as CBD Tincture, in its purest form. The oil contains 99% pure CBD isolate, MCT Oil, and Grape Seed Oil. The oil is available in watermelon and peppermint, and an array of potencies. Dosing is highly individualistic, but 15 to 30 milligrams daily is a good place to start. Factors like diet, physical size, and gender can change how your body feels, so it may take some adjustment to find the right amount for your needs. Pure CBD Oil is not the same as CBD Vape Oil used for vaping and should not be vaped. CBD Oil should be taken sublingually, not in a vaping device. CBD Oil does not have the chemical make-up for maximum cloud production and may be too thick to use in your vaping device. 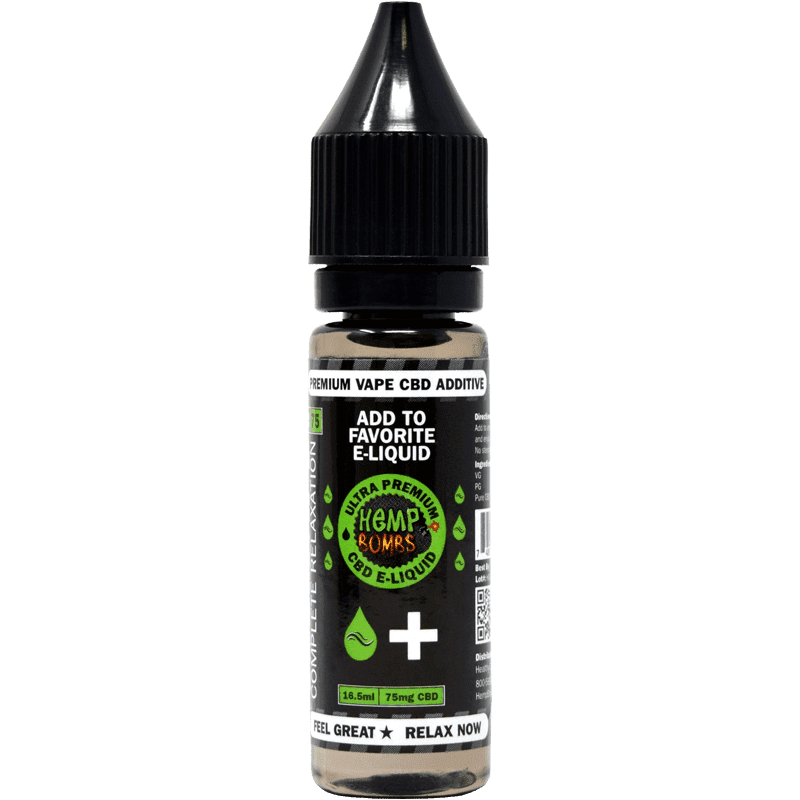 CBD Vape Oil, also known as CBD E-Liquid or Vape Oil, is comprised of pure CBD isolate and a 70/30 Propylene Glycol and Vegetable Glycerin split to provide increased cloud production. We do not use any unnecessary additives in our Vape Oil making it safer for your lungs than traditional vape juices. Our Vape Oil does not contain nicotine, which means it is not addictive and gives you maximum health benefits. Vaping CBD E-Liquid provides an almost instant effect for you because it absorbs quickly through the lungs. Within a few minutes of taking CBD through a vape device, consumers will feel more relaxed. Because of its fast-acting effects, it may provide a quick solution to those who have flare ups of pain or experience panic attacks. Hemp Bombs offers a range of potencies available in more than 12 unique flavors. 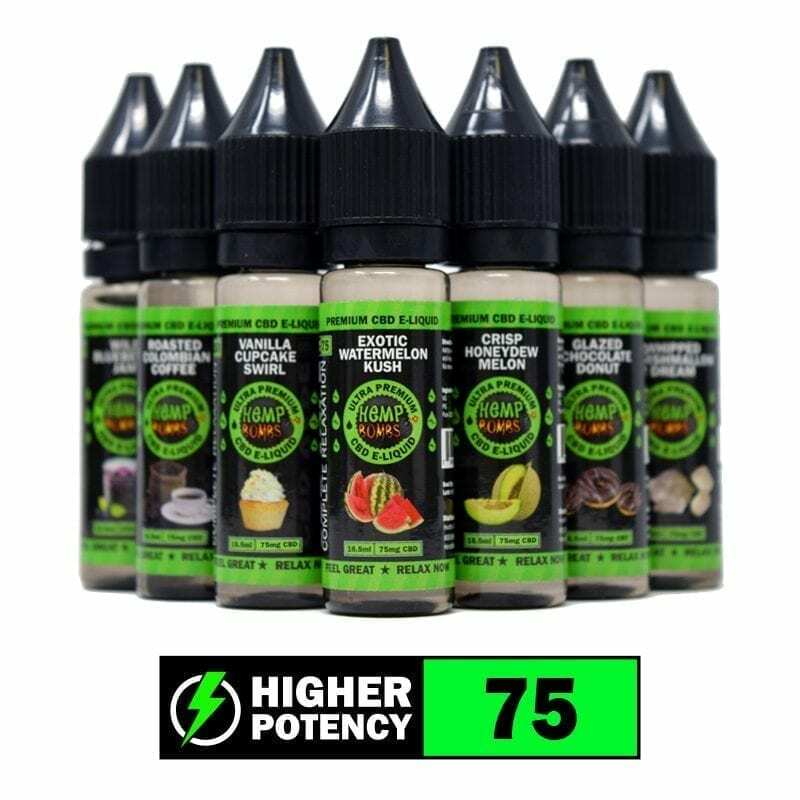 In addition, we offer a flavorless CBD E-Liquid additive, which is ideal for vapers who have a favorite vape juice but want to add to feel the added benefits of vaping CBD Oil. 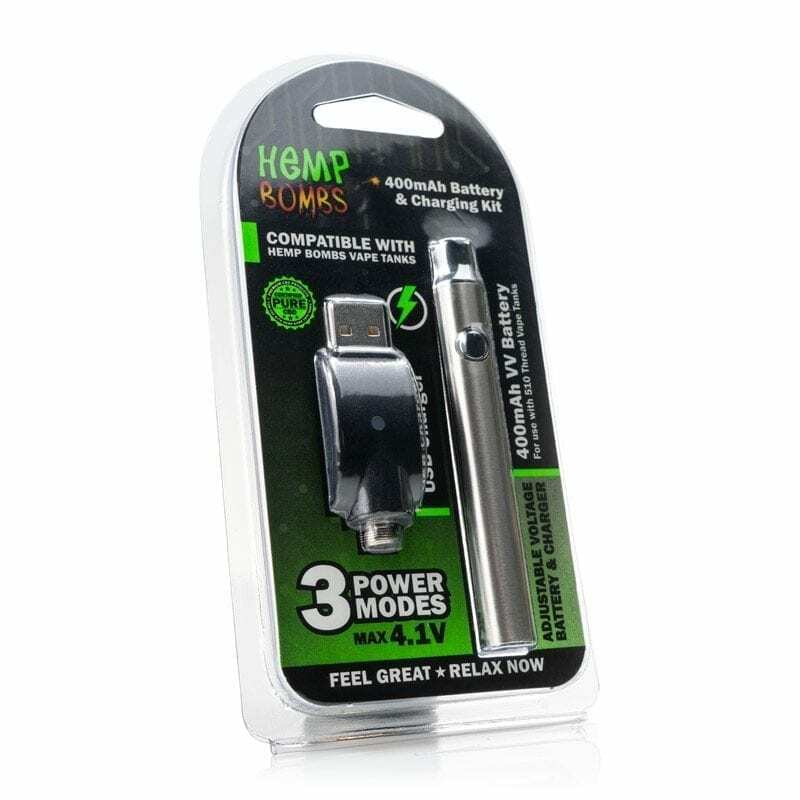 If you are just starting to vape, we also offer CBD Vape Tank Cartridges, compatible with any 510 thread vape pen. Read more benefits about CBD Vape Oil and our variety of products.